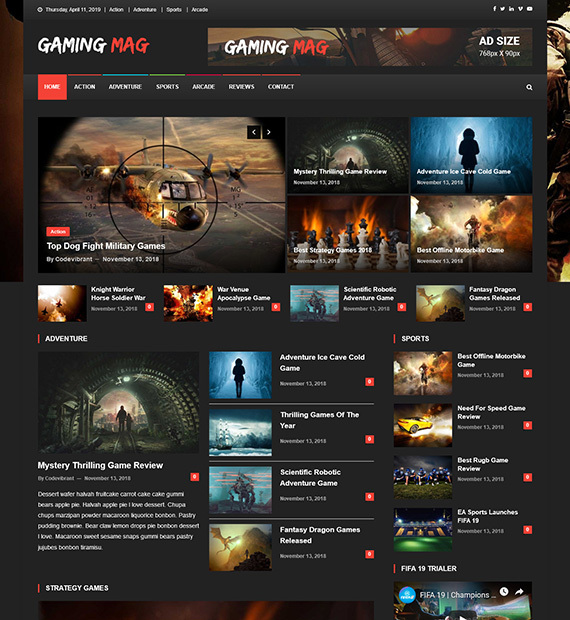 Gaming Mag is a free Magazine theme for WordPress with a bold and creative look. As it has been coded to be SEO optimized as well as highly responsive, this theme can allow you to reach a much wider audience. With a ton of helpful features that are available, such as unlimited color options, custom background, social icons, custom widgets, and much more, you will be able to build a powerful magazine site. Gaming Mag also comes with dedicated support, in-depth documentation as well as translation support. Showcase your creative featured posts with the beautifully designed with an edge of style with the stylish featured post option!